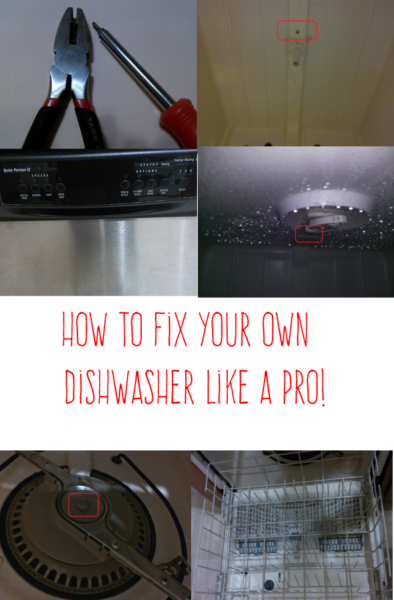 If you have a Whirlpool Quiet Partner I or Quiet Partner II dishwasher that has stopped getting your dishes clean, particularly on the top rack, you could try fixing the problem yourself before calling for an expensive repair or even buying any new parts. 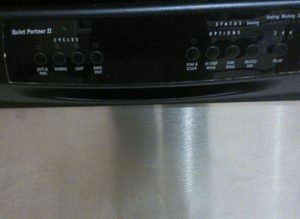 In fact, many other brands and models of dishwasher seem to be built in a similar fashion. That means these instructions might work for you, even if you don’t have a Whirlpool dishwasher. When a dishwasher’s only problem is a gradual decline in its ability to get the dishes clean, with no unusual sounds such as grinding or rubbing, try running an empty load after pouring one cup of white vinegar into the bottom. If the white vinegar doesn’t do the trick or you have reason to believe that hard water might have left enough residue on your dishwasher’s innards to cause problems, try CLR. 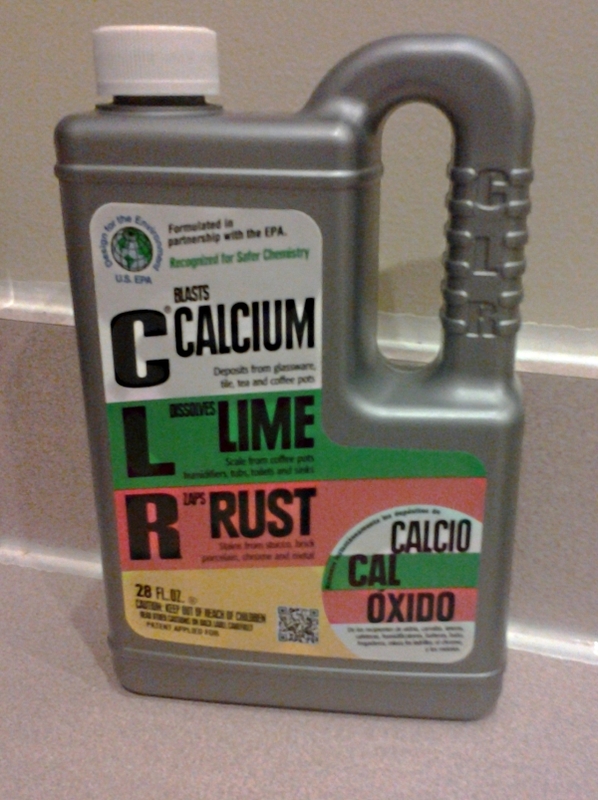 To use the product, which stands for Calcium Lime Rust, pour 1/2 cup in the bottom of your empty dishwasher and run it. 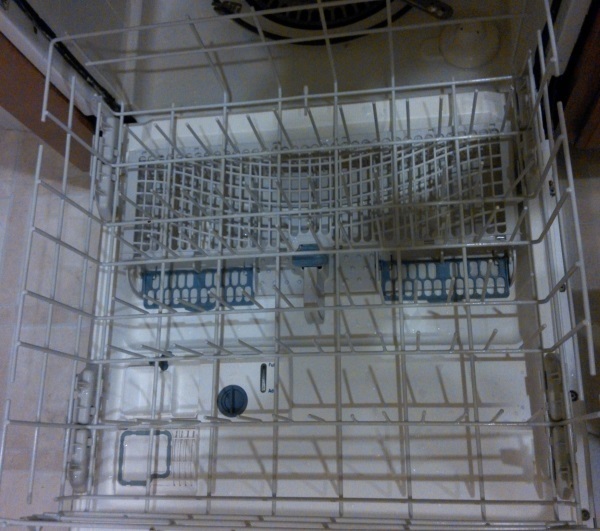 When it finishes, run it again, still empty, to completely remove any CLR residue from the dishwasher’s parts. A dishwasher that makes a loud grinding noise or another obnoxious sound probably has more problems than vinegar or CLR can resolve. 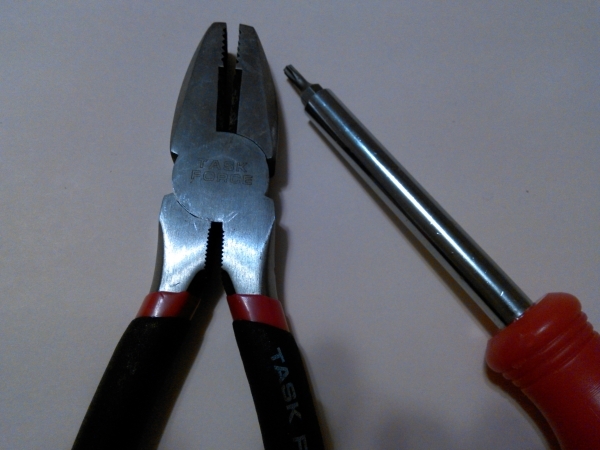 Get out your pliers and a screwdriver with a small torque (star-shaped) head. A pair of plastic tweezers may also come in handy, especially if you have large hands. 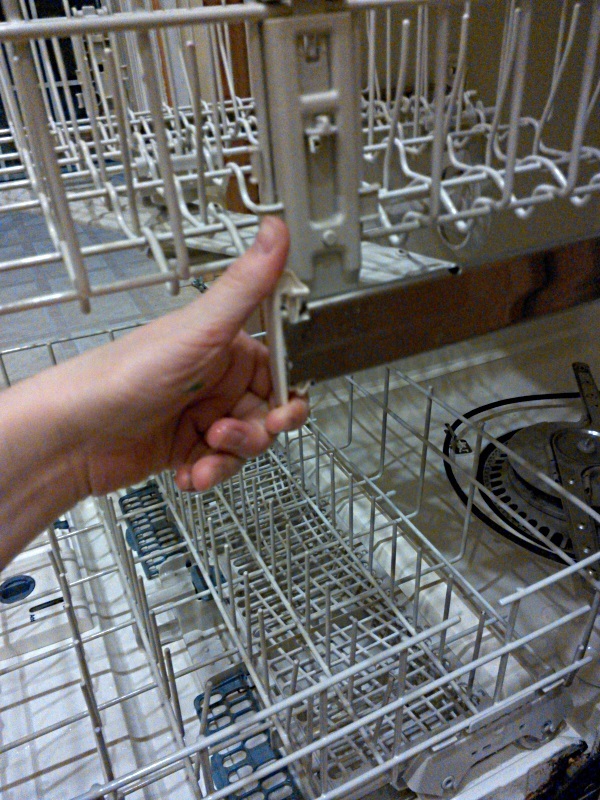 Start by removing the bottom rack of the dishwasher, which slides out. Then, remove the clips at the ends of the top rack by squeezing, and pull out the top rack. To begin taking apart the sprayer assembly at the bottom, remove the plastic twisty holder with pliers, turning toward the right (clockwise). It’s screwed on tightly, so you’ll need to firmly hold the sprayer bar while you twist. After you successfully loosen it, you can lift and remove the sprayer bar. Next, place a small towel over the sprayer in the bottom in case any screws fall while you’re working on the other parts. 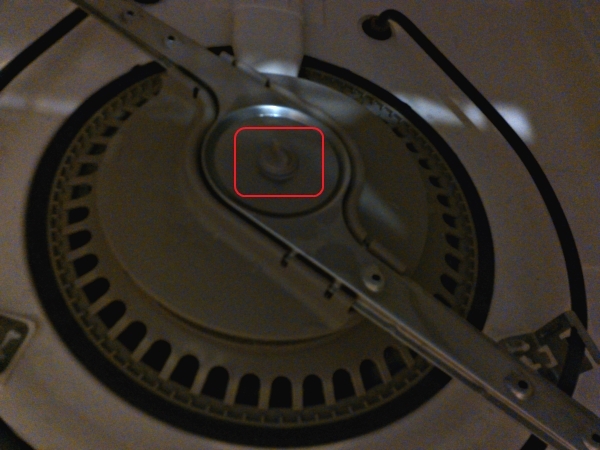 Next, remove the two screws – one on top, one in the back – holding on the white bar. After removing the small screws, turn the bar gently to the right, and remove it. At this point, you can remove the center of the sprayer assembly at the bottom – the twisty thing that you already loosened. Now, remove the four screws in the sprayer assembly and gently remove the plastic grate. Check the open pipes for clogs. Look down to the front left of the assembly, where a filter collects debris. Seeing what’s in there may prove difficult, but you can use your fingers or dull, plastic tweezers to sweep out the gunk, labels, toothpicks or anything else that may have taken up residence there. Be very careful of fingernails or anything else that might damage the parts. Take the grate to your sink and clean it thoroughly with water. Next, look for another screw holding in yet another plastic part, in the front left of the assembly. Jiggle the plastic part gently until it pulls out. Clean this area thoroughly with your fingers and scrape the metal wheel gently with your fingernails to clean out all the accumulated gunk. Watch carefully for sharp edges to avoid cutting yourself. When you’ve cleaned the wheel and cleared the area of debris, replace the plastic cover and screw. It’s okay if the area still has some water in it. Next, replace the grate and the long screws that hold it together. Put the twisty top back on, and replace the white bar, which is probably the most challenging part of this process. It has to snap on just right in order to spin back where it belongs. Cover the grate with a towel before replacing any more screws. That way, if you drop a screw, it won’t go into one of the holes and cause you to have to tear the whole thing apart again. 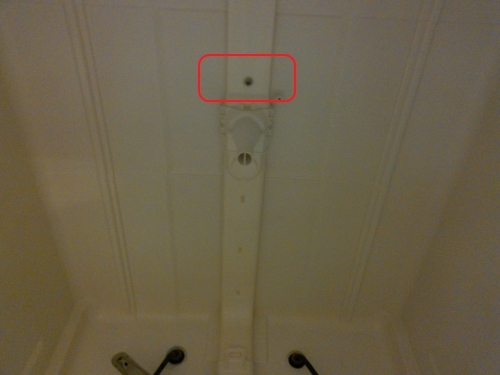 Put the two small screws back into the white bar, then put the four long screws back into the grate. Keep the towel covering whatever part you’re not working on, until you replace all the screws. Replace the metal sprayer and twist the holder tightly to secure it. Twist a bit more with pliers to tighten. Replace the top rack and insert the end holders, then insert the bottom rack. Make sure you don’t have any leftover parts from your reassembly. Then, dump a cup of white vinegar in the bottom of the dishwasher and run an empty load, staying close at hand for awhile to make sure no problems occur. Congratulations! You just tore apart your dishwasher and put it back together again, and probably saved yourself a few hundred dollars. 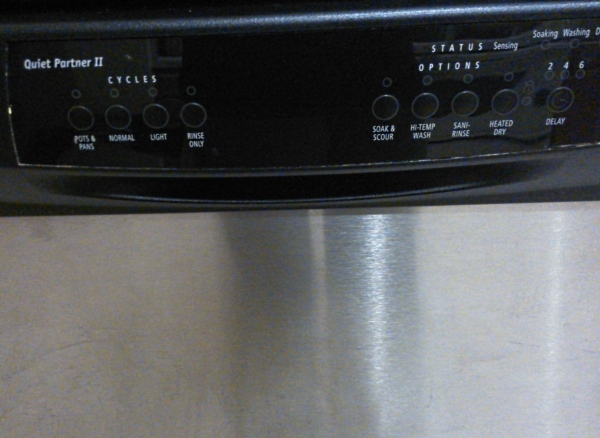 If your dishwasher continues to have problems, check out follow-up post for more help. Inside the box: What’s in a Bulu Box this month?